I just recently bought ten books at an atrium sale, but that didn’t stop me from browsing the Junior Page atrium sale and buying these six. The cashier asked me how long it was going to take me to read them, as if either I had a superpower or was biting off more than I could chew. 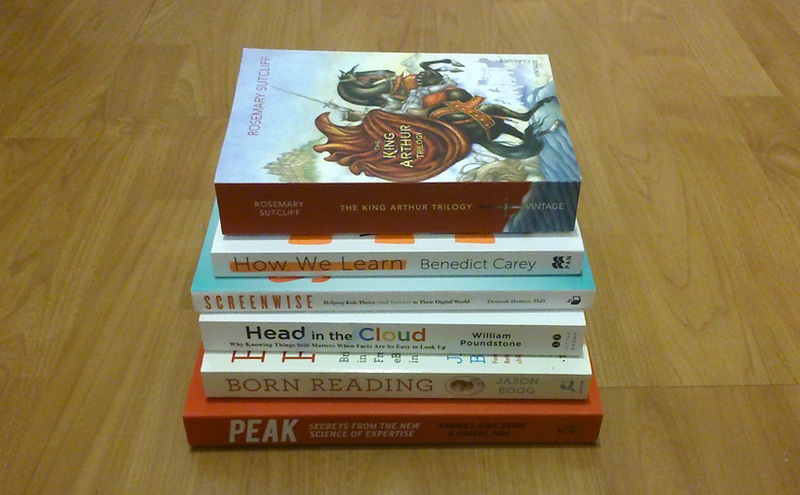 I think most of the people shopping the sale were only buying one, two, or three books at a time. Tough to make back the rental fees at that rate, I would think. 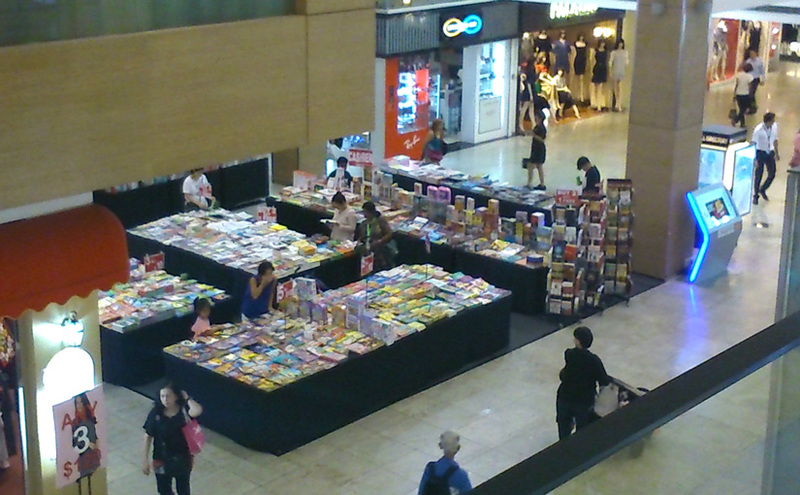 And yet in Square 2, the shopping mall next door, there was ANOTHER atrium book sale running at the same time. Next Next post: “Battery”: countable or uncountable?